When it comes to the loan market, two things are undisputed. ... even when accounting for the December freeze when loan market entered hibernation as prices fell and CLO activity ground to a halt. 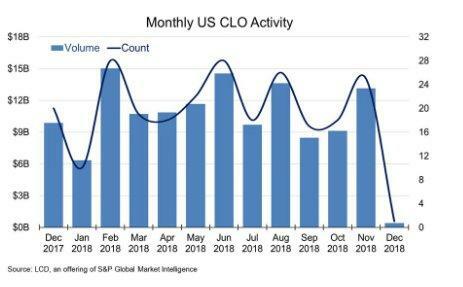 As such, marginal CLO demand is understandably perceived by the market as a critical spoke for all future primary market demand, and is therefore a critical component of the overall loan market. 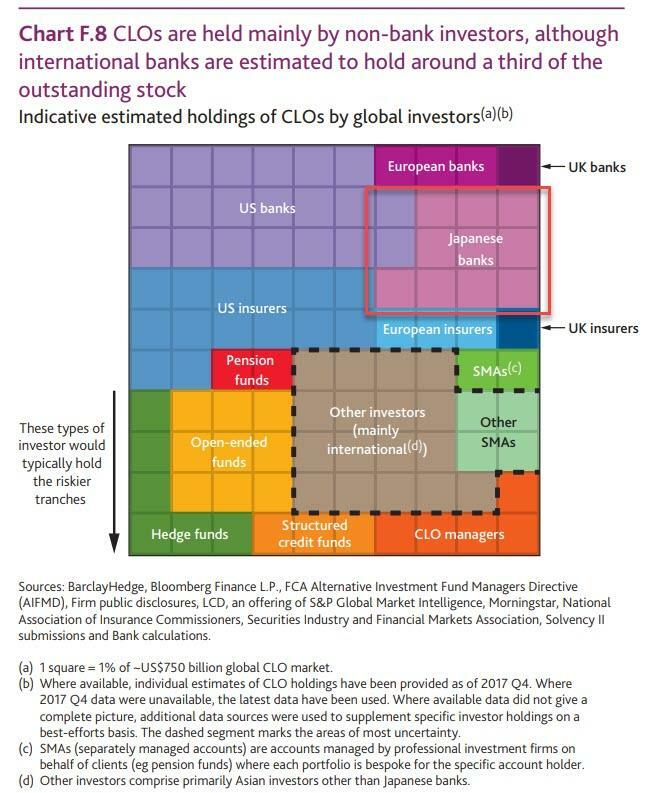 The second undisputed aspect of the loan and CLO market, is that Japanese banks have become some of the most aggressive buyers of CLOs, with UBS and the Bank of England estimating that these bank have been buying between 50-75% of AAA-rated CLO tranches and a third of the total market. Japanese banks have been buying the top-rated AAA pieces of CLOs because they have higher yields than like-rated sovereign debt, according to UBS, with the lenders making up about 33% of total inflows into the asset class in the past several years. Additionally, as noted above, Japanese banks may be buying between half and three-quarters of AAA rated CLO tranches, UBS said, citing evidence from clients and analysis of the market for cross currency basis swaps. 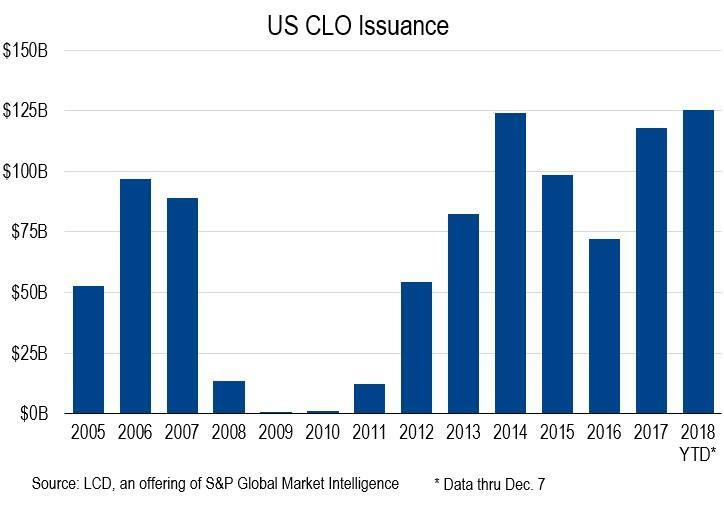 Without the Japanese bid for AAA rated CLO paper, top-rated CLO spreads would likely widen back to at least 2014 levels, or 50 basis points wider, the bank estimated. Furthermore, despite recent record outflows, Japanese banks should in theory continue to anchor the market as long as government yields stay low and the Bank of Japan clings to its ultra-easy monetary policies, UBS said quoted by Bloomberg. And while Japanese demand is vulnerable to a pullback, it should help provide stability to the market in the face of a recent sell-off, UBS said. Unless of course, an unexpected regulatory intervention emerges making it far more cumbersome and complicated for Japanese banks to invest in US CLOs. And yet, that's precisely what may soon happen because as Bloomberg reported, citing law firms, a proposal is being floated by a Japanese regulator which could bait some U.S. CLO managers to readopt risk retention. Specifically, the proposal floated by the Japanese Financial Services Agency (JFSA) would allow certain types of Japanese investors to buy only securitizations where the originator retains a 5% piece, according to a client note sent by legal practices Anderson Mori & Tomotsune and Milbank Tweed. The Japanese Financial Services Agency (JFSA) recently proposed the risk retention rule, which appears to be a carbon copy of the Frank-Dodd rule that was scrapped last year in the US, and which had held back demand from local buyers of CLOs. Investors governed by the rule would include banks such as Norinchukin Bank, credit unions, and credit cooperatives, among other entities. If investors don’t adhere to new rule, they would be subject to a much higher capital charge, with a maximum weighting of up to 1,250%, the law firms said. Commenting on potential impact of this proposal, should it be implemented, the law firms said that "any regulatory change that impacts investment in CLOs could have a dramatic effect on the market," and added that "the imposition of the Japanese Retention Requirement may therefore see a return to retention-compliant U.S. CLO structures to the extent that such transactions are to be marketed in Japan." That said, this arguably huge development for one of the biggest sources of demand in the CLO, and thus loan market, is still one "potentially big news" because as Bloomberg's Sebastian Boyd notes, we don't know whether this is going to happen or whether it will include an exemption for "open market" CLOs. Only "open-market" CLOs, those in which loans are bought on the open market, are free from risk retention. The April ruling didn't apply to private credit funds that set up CLOs. Commenting on the "open market" CLO exemption, the law firms notes that this "has been raised as a possibility and is under consideration by the JFSA." In February 2018, a U.S. appeals court decided that risk retention rules don’t apply to U.S. "open market" CLOs, and by April U.S. CLO managers were officially released from risk-retention rules. Still, in a world where volatility has risen sharply recently, and where macroprudential policies are encouraging regulators to become far more critical of bank balance sheets especially after the worst year for global capital market since the financial crisis, it is a distinct possibility that Japan's regulator will implement such a buffer. After all, European CLOs are already structured to include risk retention and disclosure obligations which are more far-reaching than the Japanese proposal, so European CLOs should generally meet the Japanese retention requirement. While it is impossible to handicap the odds of a regulatory intervention, if law firms have already been engaged to lobby against the passage of this proposal, they are certainly non-trivial. Yet one thing is certain: should the proposal be enacted, and Japanese buying collapse due to risk-retention demands, then up to a third of demand for CLOs could be eliminated overnight. In that case watch out below as loan yields soars, price tumble, and the leverage loan market is rocked to its core with the potential aftershocks stretching first to junk, then to investment grade, and ultimately the entire credit space. Certainly, it would be ironic if in their attempt to make the overall loan market safer, Japanese regulators end up triggering the avalanche that finally bursts the credit market bubble, potentially concluding in the next financial crisis.